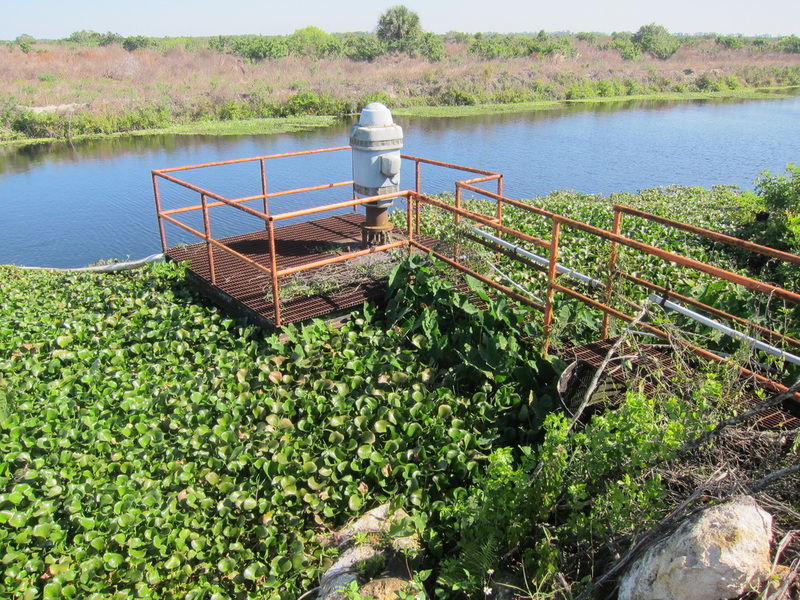 This was a pilot project to evaluate the feasibility of using the Berry Groves site on an interim basis to store excess wet season C-43 flows in order to reduce harmful freshwater discharges to the Caloosahatchee Estuary. 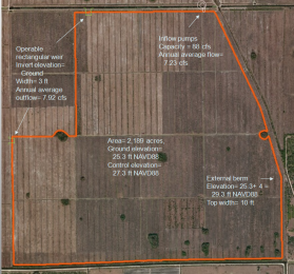 LAGO developed a spreadsheet model for two scenarios in order to analyze the effectiveness of pumping water from the C-43 Canal into the inactive Berry Groves property during periods of high flow. 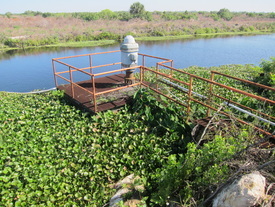 The water budget inflows included rainfall and C-43 canal pumping. 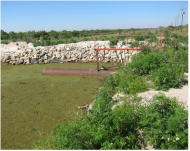 The outflows included seepage, evapotranspiration (ET), and weir discharges. The weir discharges depended on water elevation in the storage area. Two different storage configurations were evaluated making a total of 10 scenarios studied. The spreadsheet model was used to compute the daily water budget for three different pumping scenarios. Each scenario was based on a different threshold of flow (3,000, 5,000, and 10,000 cfs) in the C-43 to turn on pumping to the storage facility. In addition to the pumping scenarios, two cases representing the existing conditions and no pumping condition were modeled. Finally, sensitivity tests of the pumping capacity were conducted for the default (5,000 cfs) scenario. The spreadsheet model predicted that the smaller storage configuration would be more cost effective. From the sensitivity tests, it was also demonstrated a significant reduction in the cost per acre-foot of water stored by increasing capacity from one to two 20,000 GPM pumps, although this cost increases slightly if a third pump is utilized.